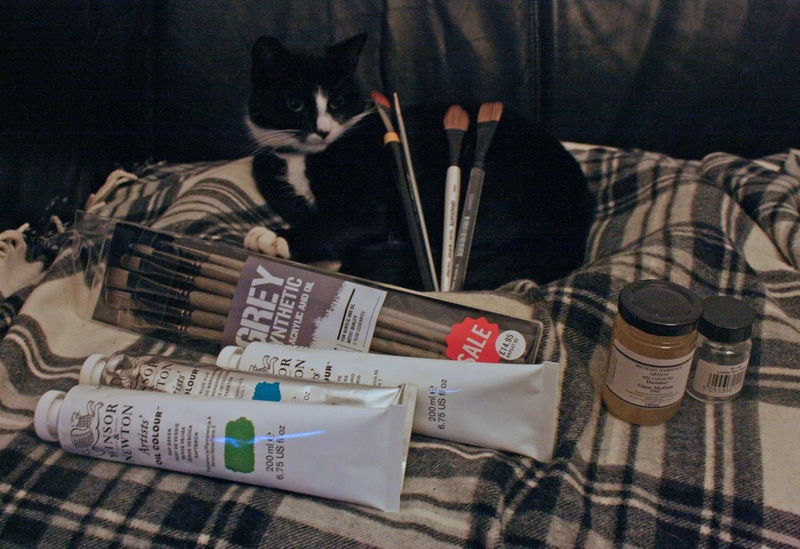 Glasgow Painter: Day 3 - Shopping! Today I went shopping, for soft brushes and medium. Some Sap Green and Manganese may have jumped into my basket as well - which is nice as I have recently added both colours to my basic palette, expanding it from seven colours to nine. Tomorrow I'll give them a spin (and possibly liquin as well - in smaller sizes it is only available in childproof containers, which unfortunately are also Jane proof. However my studio-mate Louise Scott has promised to lend me a little bit). So look for an update tomorrow!